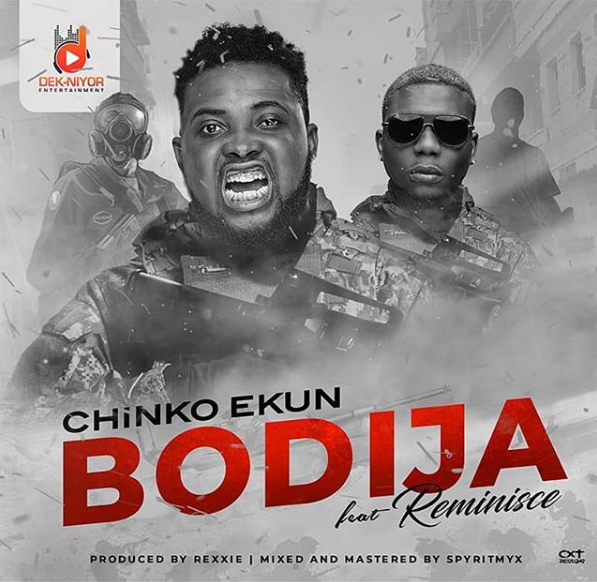 Former YBNL soldier now Dek-Niyor Entertainment artist Chinko Ekun comes through with an impressive track called “Bodija”. On the track, “Bodija” is a feature from Reminisce. Chinko Ekun goes hard on this hip-hop record the way he knows how to it best in his native Yoruba. Reminisce leans an impressive lyrics on the second verse which is very laudable. Chinko Ekun – “Bodija” is produced by Rexie while Spyritmyx mixed and mastered the record. Download enjoy and share your thoughts!